Marco Fusinato – crackle… & splat! Sometimes Marco Fusinato plays guitar like he paints his red monochromes. In a flurry of frantic gestures, he saturates the blank space or empty air before imparting a simple pattern, a dull throb, a texture to these inundated fields. His paintings and recordings bear traces of this scratching, pouring, hacking, smearing, smashing, caressing; the expended energy comprises an aesthetic of speed and force best appreciated in terms common to both painting and music – pulse, rhythm, movement, force, vigour. 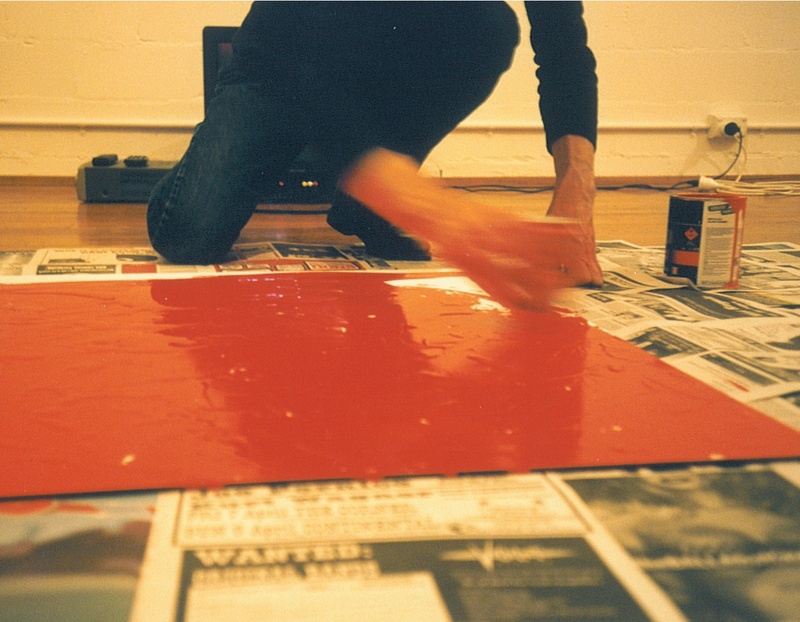 Fusinato makes his paintings under limiting conditions: using only standard red paint; painting as quickly as it takes to cover the surface; using ten litres of paint; or painting without brushes, using whatever is at hand. The single colour highlights variations in the process (what was playing on the radio, or what was lying around the studio to paint with). 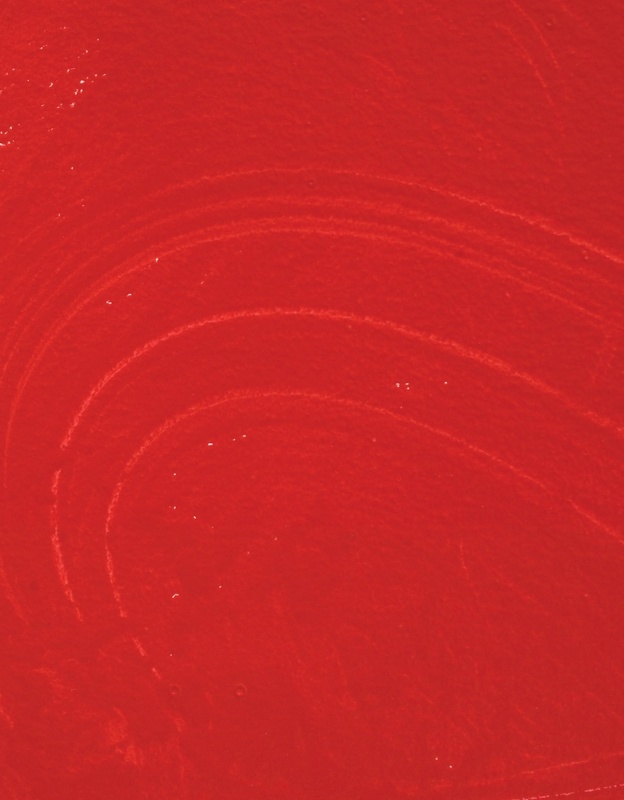 In collaboration with Sonic Youth’s Thurston Moore, Fusinato made ten red paintings in response to ten improvised guitar tracks recorded and filmed by Moore. Each painting was completed while a track was played. The music and painting took the same time to complete. Thus one seemed in direct proportion to the other, as if E really did equal MC squared in the studio as in the universe, and the expressive energy was no different: stored, released, stored again, but ultimately preserved in comparable traces in either a monotone or a monochrome. A kind of perpetual motion is set in train, a concatenation between media, such as an abstract looping line-drawing used as a template to machine-cut grooves in vinyl records, in turn used by club DJs. 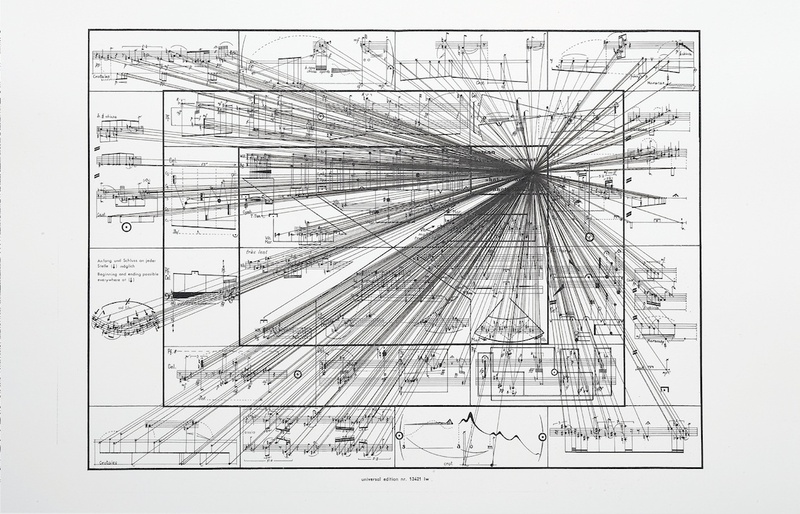 Imagine the stylus dropping into one of Fusinato’s crazy grooves, converting the drawing to sound, figuring the whole exchange of energy between the visual arts and music. Fusinato’s performances and recordings also respond to clearly prescribed conditions, such as a three-minute public performance by ten artists – most non-musicians – with ten guitars and ten hundred-watt amps. The group played the same single chord for as long as a pop song, some with gusto, others with indifference. Among Fusinato’s own recordings are those of impromptu performances in music stores around the world, where he plays improvised noise and feedback on various guitars and pedals on display – often to the chagrin of proprietors (recordings are later distributed free of charge as 7” singles). Fusinato describes himself as a realist, “regarding things in their true nature and dealing with them as they are”, things like “the cost, the chaos, the speed, the banality of any given situation”. In pointing a camera at the sun to take pictures, using an empty Coke can to paint, or looping feedback beyond legibility, there is a purposeful disdain for the conventional use of equipment to test its limits for representation. To the same end, Fusinato has reproduced certain historical gestures as if to test their enduring protean force: attempting an exact cover version of John Fahey’s improv-masterpiece ‘The Approaching of the Disco Void’; photographing a ‘romantic dozen’ of Joseph Beuys’s Rose for Direct Democracy; or redesigning protest slogans, like the Zagreb Group of Six’s ‘This Is Not My World’ in nu-metal gothic script. Do these acts, objects, and slogans bear repeating? Fusinato pitches them side-on into some contemporary tropes to test their radical trajectory. 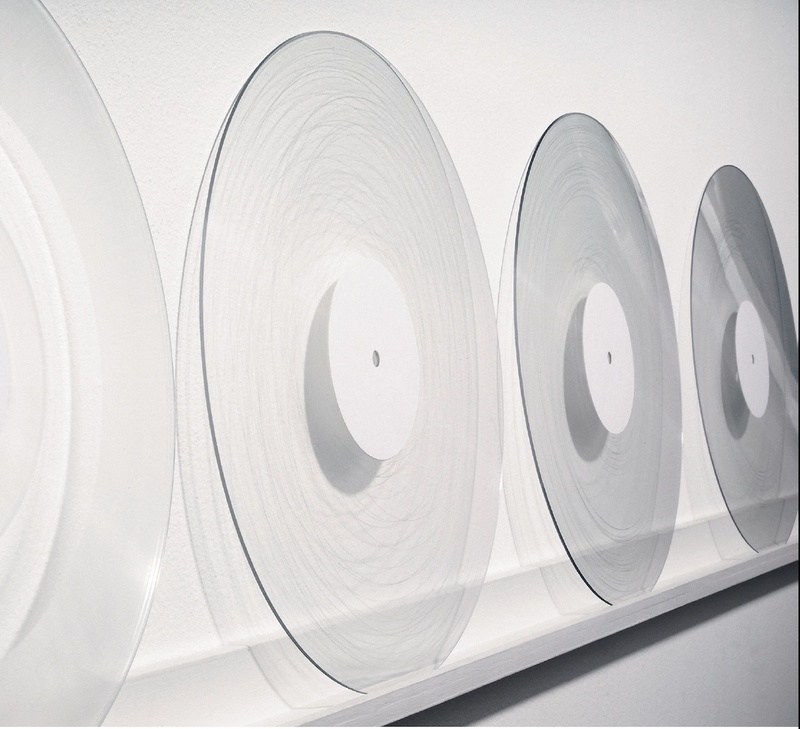 Fusinato’s photography, painting, and music are typically contained in standard formats: frames, stretched canvases, 12” and 7” records, boxed sets. Indeed, Fusinato’s close attention to the material vestige and final product only highlights the work’s unstable ephemeral core, and the original impetus threatens to exceed its neat packaging. The Mass Black Implosions figure it well, like scores for the voluminous encompassing commotion: notes from various musical scores are sucked off the staff into a single black hole of infinite density, an ultimate abstraction notating all and nothing. But as Fusinato says, there cannot be nothing since there is always “the material itself”; as with the four locked-groove 12” recordings of no sound at all – with one, four, ten, or thirty-three grooves, each of which can spin ceaselessly. And the stylus renders the sound of these profound segments of nothing, a mix of electromagnetic radiation and electronics, a hum or occasional crackle. Likewise, though there is no picture, there is paint, there is pouring, there are peaks and valleys where a softdrink can has been used to spread the paint. Thus ‘nothing’, like a single tone or colour, is an open field in which energies of all kinds are brought to bear and leave their traces in high relief.